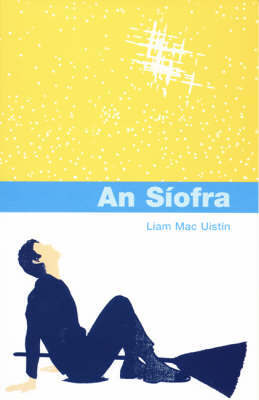 "An Siofra" is a novel that is suitable for 7-9 year-olds. It tells the story of two boys, one quiet and polite, the other mischievous and bold; one moonlit night one of the boys is put in place of the other. It so happens that Saoi, King of the Fairies, has decided that young Bobaileo has played his last prank in the fairy fort. He has been causing trouble for some time, and the King is convinced that it's time for some drastic action. Now all they need is a nice quiet boy to take his place in the fairy fort. Searlai O Siochru is the ideal choice. Will anyone notice the change? The noticeable improvement in football skills? The new enthusiasm for getting out of bed in the morning? And what about Searlai's new life in the fairy fort, how does it suit him? This story was awarded the first prize for fiction for young people in the Oireachtas literary competition.